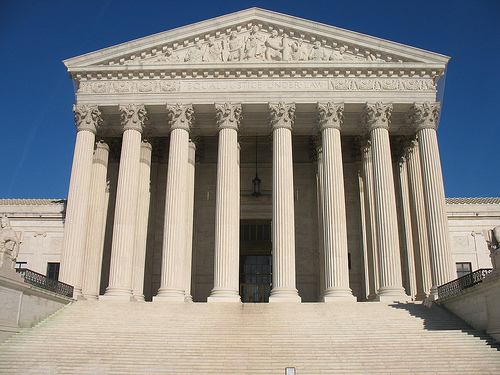 In an already action packed term the Supreme Court has definitively secured this term’s place in history but agreeing to decide whether the President’s deferred action immigration program violates federal law or is unconstitutional. 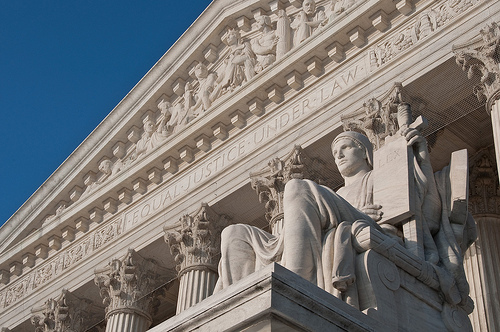 The Court will issue an opinion in United States v. Texas by the end of June 2016. This morning, the Supreme Court denied certiorari in Frederick County v. Santos, No. 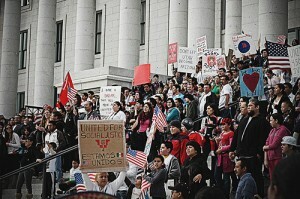 13-706, a case involving whether local officials may arrest persons for immigration violations that we discussed here. See additional coverage from The Frederick News-Post here. 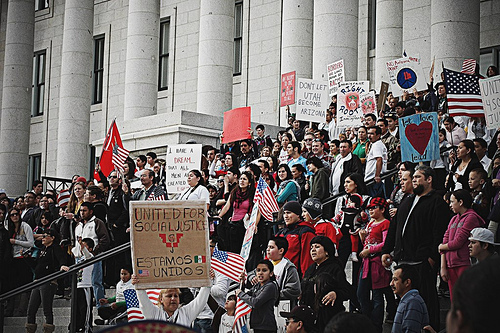 Can State and Local Police Arrest for Immigration Violations? absent express direction or authorization by federal statute or federal officials, state and local law enforcement officers may not detain or arrest an individual solely based on known or suspected civil violations of federal immigration law. Last year, this blog discussed three recent courts of appeals decisions involving local-housing regulations aimed at a person’s immigration status. 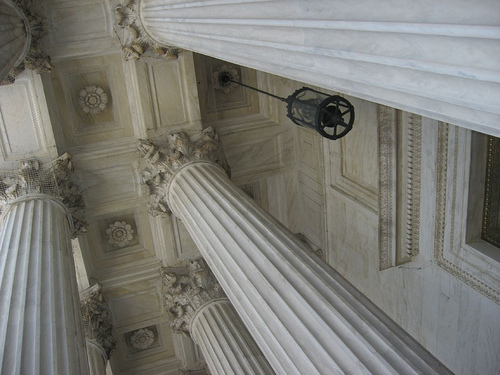 This morning, the Supreme Court denied certiorari in two of the cases, Farmers Branch v. Villas at Parkside and Hazleton v. Lozano. Both decisions had preempted local ordinances. Image courtesy of Flickr by prathap ramamurthy (creative-commons license, no changes made). Happy New Year to all of our readers. The court granted rehearing en banc in Valenzuela v. Maricopa County, No. 11-16847 (Jan. 2, 2014). The case involves the constitutionality of Arizona’s Proposition 100, which provides that Arizona state courts may not set bail “[f]or serious felony offenses as prescribed by the legislature if the person charged has entered or remained in the United States illegally and if the proof is evident or the presumption great as to the present charge.” A Ninth-Circuit panel had previously upheld the measure, over a dissent from Judge Fisher. The court decided Alliance for Property Rights v. City of Idaho Falls, No. 12-35800 (Dec. 31, 2013). The court determined that the City of Idaho Falls, Idaho, may not exercise eminent domain outside of the City’s limits for the purpose of constructing electric-transmission lines. The court also amended an earlier decision in Wagner v. Maricopa County, No. 10-15501 (Dec. 30, 2013), which concerned the reasonableness of jail officers’ search of a pretrial detainee.